Why would I need self storage in Jackson, MI? There are a variety of reasons why you might need self-storage in Jackson, MI. How much is a storage unit in Jackson, MI? The cheapest storage unit in Jackson, MI is $58.00 per month. What size storage units do you have available in Jackson, MI? In Jackson, MI we have sizes that range from 5'x10' to 10'x20' to suit your storage needs. How much is it for a 5'x10' storage unit in Jackson, MI? The cheapest 5'x10' storage unit in Jackson, MI is $58.00 per month. Situated just 40 miles south of Lansing and 40 miles west of Ann Arbor, Jackson enjoys a convenient central Michigan location. The city boasts several acres of parkland and green space, and it also has a thriving local economy. Once known as the Crossroads of Michigan, Jackson is still a convenient and friendly place to call home. Best known as the terminus of the Michigan Central Railroad and the location of Michigan's First State Prison, Jackson has no shortage of historical sites. Residents and visitors alike can tour MIchigan's first state prison, learn about Jackson's contribution to the Civil War and get to know Jackson as a historical railroad town. Jackson is also the site of a few unique inventions and important historic events. The city is counted as one of the birthplaces of the Republican Party, created in the 1850s during an anti-slavery convention. Jackson also holds an important place in the history of the automobile, manufacturing and assembling cars before the "Motor City" of Detroit even got its start in the industry. In additionion to being the site of Michigan's first state prison, which opened in 1839, Jackson w as the unexpected location of the invention of the Coney Island-style hot dog. Dozens of thriving businesses make their home in Jackson. Medical center Allegiance Health System, utility provider Consumers Energy and the Michigan Department of Corrections are the city's largest employers. Health care facility Great Lakes Home Health and Hospice and retailers Meijer and Walmart also provide hundreds of local jobs. Education and support staff jobs are in generous supply, sourced from Jackson Public Schools, Jackson County Intermediate School District, Jackson Community College and Spring Arbor University. In Jackson and the greater Ann Arbor metro area, the largest industries include education and health services, professional and business services, trade and transportation, and leisure and hospitality. This wide variety of industries not only strengthens the city's economy, but also provides you with plenty of options if you're in search of a job. Jackson Public Schools oversees the public elementary, middle and high schools in the city. In addition to traditional campuses, the district also offers a Montessori center and an international school. There are private and charter schools in Jackson as well, including the DaVinci Institute and Jackson Christian School. Utilities: Consumers Energy is Jackson's electricity provider. The city's water department facilitates water and sewer services. Garbage and Recycling: The city doesn't provide trash collection services, so you'll need to choose your own waste disposal provider. One of the simplest ways to choose from the several available companies is to ask your homeowners' association or neighbors which company is most commonly used in your community. Transportation: The Jackson Transit system operates a network of public bus routes throughout the city. You'll find plenty of options for affordable housing throughout the city, especially with Jackson's median home value well below the national average. Jackson's largest and priciest homes are clustered around the Cascades Golf Course in the city's southwest corner. Our lowest priced units in Jackson, MI average $58.00 per month. 63 people have reserved units in Jackson, MI in the past 30 days. 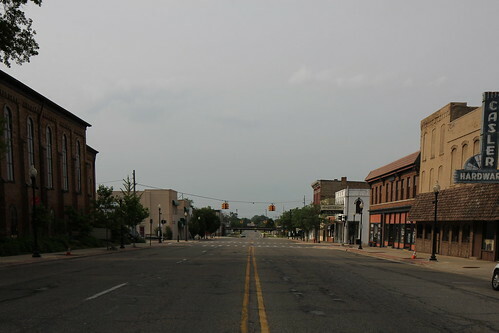 There is 1 location within Jackson, MI's city limits.